The Crested Butte Land Trust, the organization that has cleared the way for such well-known and well-loved projects as the Lower Loop, Budds Trail, Lupine I, II and III and North Pole Basin, has kicked off a fundraising effort that if successful will allow for the accelerated purchase of new conservation land. This $1 million Opportunity Fund will serve as a sort of war chest from which the land trust will be able to draw money for the purchase of new real estate without depleting its operating budget. Seventy percent of the $1 million will be used as leveraging dollars that the CBLT can apply to other grants and additional publicly available money. To put it simply, $700,000 of the fund could potentially be turned into much, much more that would then be used to increase the inventory of conservation lands for which the CBLT is responsible. The remaining 30 percent of the fund will be put toward upfront projects costs and increasing capacity for conservation projects. According to Durant, the fund will help streamline land purchases and add to the level of confidence landowners can have when working with the land trust. It is commonly the case that a land owner will approach the land trust seeking to create a conservation project by selling their land, or the rights of their land, to the trust, Durant said. The negotiation is often bound by a tight timeline, and putting together the funds to make the deal happen can be difficult. Historically this has required the CBLT to take funds away from the general operating budget—a less than optimal situation. The land trust announced the creation of the fund earlier this summer after a period of silent fundraising. As of mid-July it had raised 60 percent of the total, and the campaign will continue for three years. 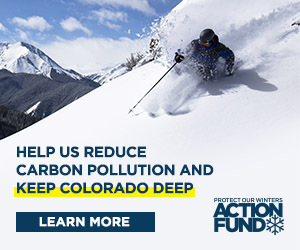 For more information about the Crested Butte Land Trust or the Opportunity Fund, visit cblandtrust.org, or contact Noel Durant at noel@cblandtrust.org.